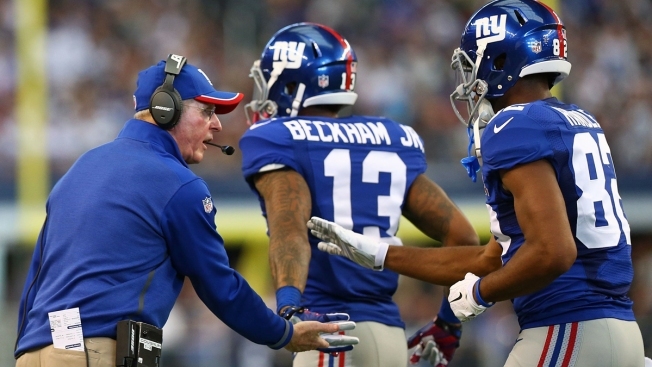 The New York Giants are hoping to have their next head coach in place by the end of the week, according to co-owner Steve Tisch. Tisch mentioned at the owners meeting in Houston that he planned on meeting with his co-owner John Mara for a “long conversation” on Wednesday, the same day the team is scheduled to interview Bengals defensive coordinator Hue Jackson, who will be the seventh man interviewed by the Giants. One of the first six, former Bears offensive coordinator Adam Gase, is off the table as he took the Dolphins job. NFC East Watch: Washington RB Alfred Morris "Would Love to Return"
Aside from Jackson and Gase, as of Wednesday, the Giants had interviewed their current offensive coordinator Ben McAdoo, current defensive coordinator Steve Spagnuolo, former Bills head coach Doug Marrone, former Falcons head coach Mike Smith and current Lions defensive coordinator Teryl Austin.